So even though in Melbourne we are just creeping into Spring and the shops are beginning to fill up with summery dresses, short sleeves and sandals, I just can't stop myself taking a sneak peak at all of the amazing new season stuff hitting the shops in the UK either. September issues are bursting to the brim left, right and centre, and I find myself irrationally jealous that everyone over in the UK is getting to indulge in all the exciting new pieces popping up in my favourite stores. So to satisfy the shopping urges that I cannot fulfill for another few months, I thought I'd give you a look at a few things that I'm lusting over for AW13...although by the time I get to wear it it'll be AW14...weird. 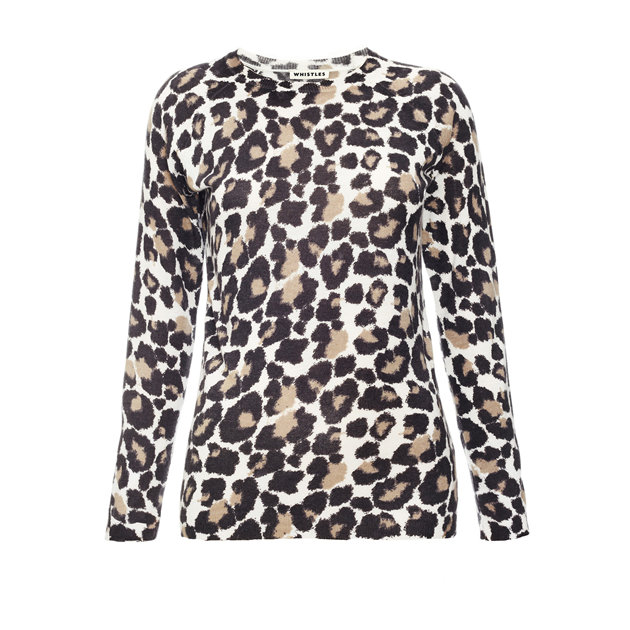 It's no secret that I have a bit of an obsession with leopard print. Done right (and that's important), I think it's chic and stylish, and there's just something quite luxe about it that I love. This whistles knit is the perfect weight; it will keep you warm but won't bulk you up and leave you looking all Michelin man. Great tucked into a flared skirt or with some relaxed boyfriend jeans for that dressed up/dressed down look which I also love. 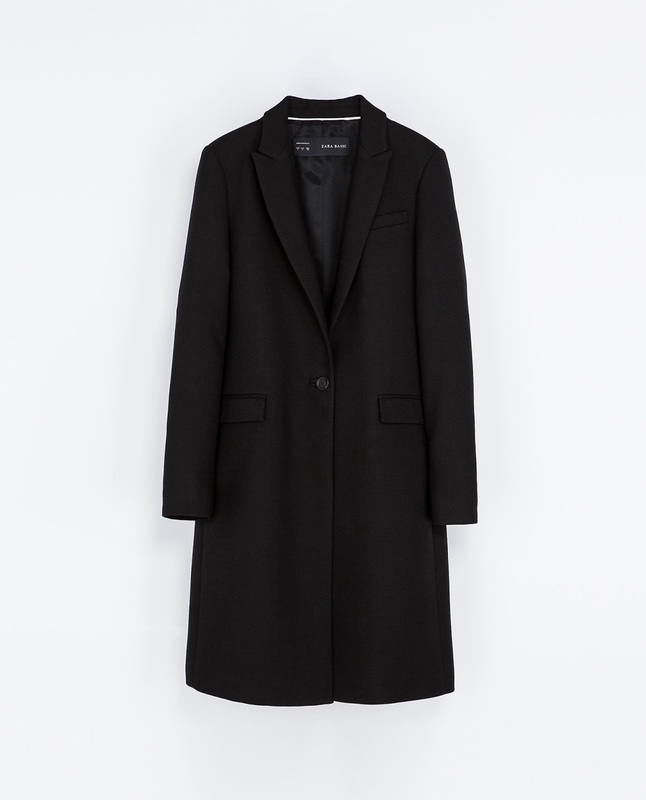 A masculine coat is something I am really looking forward to wearing come Winter. I tried one on a few months ago and totally fell for it. Unfortunately I had to resist my urges as I knew there would be lots of summer goodies to buy and enjoy before I could give the coat the full attention it clearly deserved. Double breasted and cocoon styles are harder to pull off because off the width they add, you need to be pretty slight. However the narrow lapel of the Zara one I have chosen is more flattering and, as strange as it might sound for a masculine style coat, super elegant. I am always on the side of big bags, I'm less of an 'everything in its place' kinda girl and more 'chuck it in and find it later'. Lucky for me, over-sized bags have been around for a while and don't show signs of disappearing anytime soon. There's lots of lady-like, rigid bags around at the moment and if you've got the cash you can take your pick from the Philip Lim Pashli, Givenchy Antigona, Saint Laurent Sac du Jour (did someone say Birkin?) 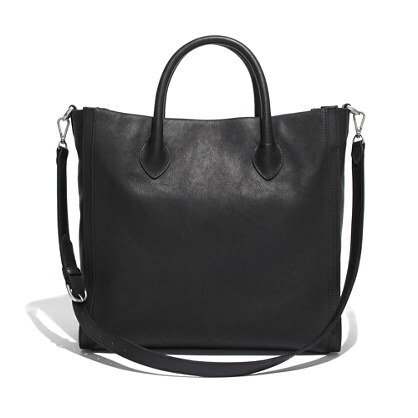 or my personal favourite; the Saint Laurent Cabas Chyc. However if you live on planet reality like the rest of us, this Madewell choice comes in a great second! I feel about leather the same way I do about leopard, a little goes a long way. I'm actually kind of over the leather trouser look at the moment, too many cheap imitations around. 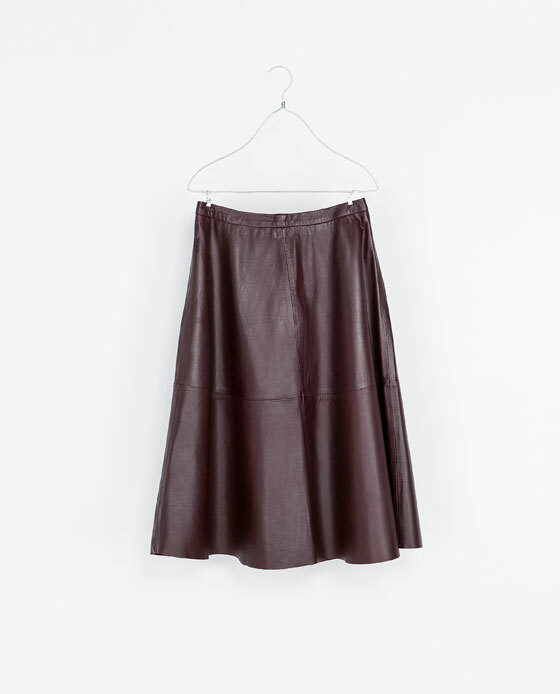 A flared leather skirt in maroon? That, I can get my head around. Perfect with the pointy courts that are everywhere at the moment for a day at the office, or team with a chunky roll neck and block heel ankle boots if you're feeling more of a relaxed look. P.s. Put your masculine coat on top-masculine and feminine clash = big thumbs up (from me anyway). If someone told me the silver, pointy courts I bought when I was 18 would come back into fashion 10 years later (ouch) I wouldn't have been so quick to get rid of them. Points are back with a vengeance and whether you dress them up with a pencil skirt or down with some tattered jeans, they never fail to make you feel polished and groomed. 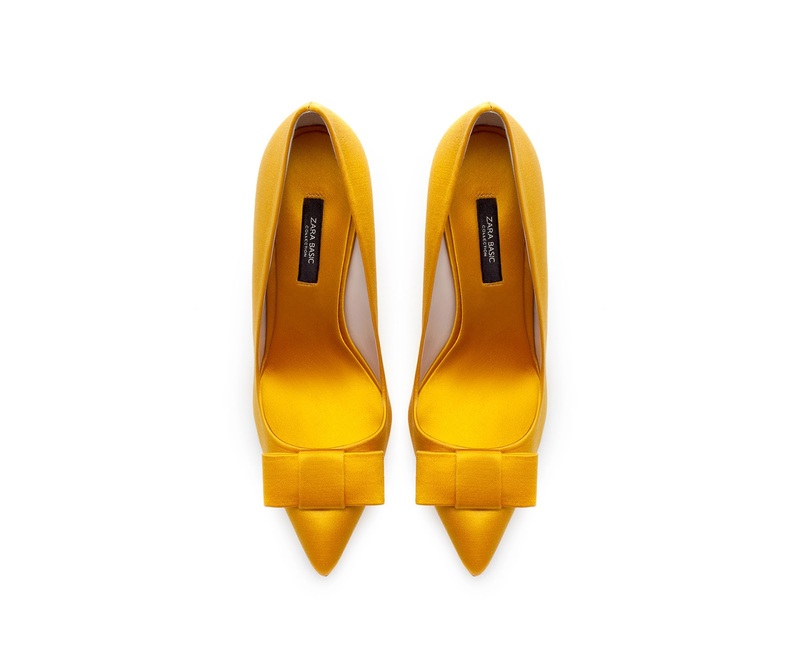 The mustard colour of these Zara ones is a no-brainer for me: LOVE. I did a post a few weeks ago about the military vibe I was feeling at the time. Since then it's been one of those things where I have seen it everywhere. Was I missing something before? 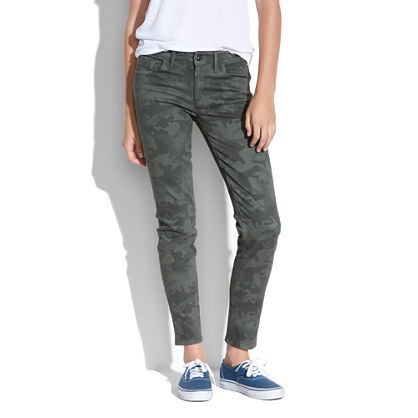 Either way, I am once again loving the combo of masculine (army) and feminine (skinny) in these Madewell trousers. Pointy courts and a tux blazer for evening, flats and a slouchy knit for day. Et voila. Now time to start on the Aus wishlist...coming soon!